The fund is constitutionally bound to the wishes of Lakes area BMC members and so any changes in its constitution are therefore brought to this meeting. The current chair is Dan Robinson and treasurer is Ron Kenyon. The key objectives of CBF are to assist with ensuring bolts are safe and comply with current accepted ‘best practice’ and training of volunteers to place stainless steel bolts with resin . CBF should be seen as the main organisation through which bolting in Cumbria is conducted and aims to comply with the current BMC Fixed Equipment Policy (2014). Current Lakes area policy restricts bolting to quarries (such as Lakeland slate and micro-granite (Bram Crag)), compact limestone and sandstone (St Bees and Coudy Rocks). Equipment and training will be provided for equipping new routes and re-equipping existing routes. A record of bolted routes will be maintained that will indicate the location, condition, type and age of the equipment. Fund raising initiatives will be encouraged. 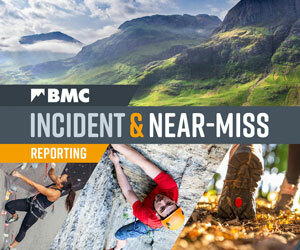 Retro-bolting and the inclusion of new crags, to bolt, will be made in consultation with local climbers at Lakes Area BMC meetings. MHT Autumn has proven that mountain heritage is gaining an ever greater interest amongst the climbing community. In recent months the Mountain Heritage Trust has been working hard to present new and old generations with an opportunity to re-live our history and the bold characters who made it. MHT is based at Blencathra Centre above Threlkeld, near Keswick.